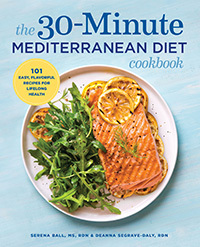 Don't miss this chance to join Today’s Dietitian at Talula's Daily for an evening of networking and culinary fun with Deanna Segrave‑Daly, RDN, author of The 30‑Minute Mediterranean Diet Cookbook and blogger at TeaspoonofSpice.com. Come learn practical and cost-saving tips on how to easily incorporate the Mediterranean lifestyle — and three servings of dairy a day — into your client’s eating plan along with how to arrange and enjoy a nutritional and culinary balanced cheese board for meals, snacking and entertaining featuring American cow’s milk crafted cheeses. 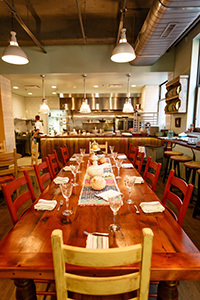 Talula's Daily, owned by Aimee Olexy, one of the most recognized personalities in Philadelphia dining and renowned cheese expert, is an all‑day café, local market and intimate dinner destination set in Washington Square. The first 50 registrants will receive a FREE copy of Deanna's The 30 Minute Mediterranean Diet Cookbook. 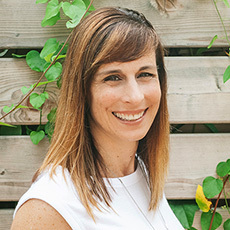 Based in Philadelphia, Deanna Segrave‑Daly, RD, is a food‑loving dietitian who co‑owns Teaspoon Communications, a food‑focused nutrition communications group that consults with a variety of health and food organizations. She blogs at Teaspoon of Spice with her business partner, Serena Ball, MS, RD, sharing healthy kitchen hacks, nourishing recipes, how‑to cooking videos, and even mishaps in the kitchen. A seasoned communicator for more than 20 years with a background in TV, radio, and print spokesperson work, Deanna now regularly live streams on Facebook on her Teaspoon of Spice page as well as on sponsors’ business pages. She is also the co‑owner of The Recipe ReDux, a healthy food blogger community that inspires monthly recipe challenges, and is cofounder of Blog Brûlée, an exclusive, intimate weekend workshop for registered dietitians and healthy living bloggers to enhance their online presence. Generously sponsored by American Dairy Association North East. American Dairy Association North East is a nonprofit organization representing 12,000 dairy farm families across New York, New Jersey, Pennsylvania, Delaware, Maryland, and northern Virginia. Committed to nutrition education and research‑based communications, ADANE provides science-based nutrition information with the common goal of fostering a healthier nation. For more information, visit www.americandairy.com.